As always with the March Madness tournament, the hopes and dreams of players, coaches and fans across the country, if not the world, comes down to one final game and two teams. 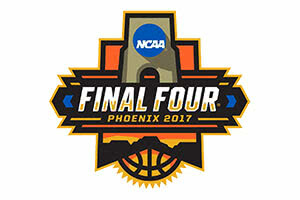 The game was the eight time that the two No 1 seeds clashed and there was a lot to enjoy about the Champions Game of the 2017 March Madness tournament. For a large part of the game, this was an evenly balanced match and there were times when it looked as though Gonzaga could come out on top. However, North Carolina showed that they learned from last year, when they suffered a heart-breaking buzzer-beating defeat at the hands of Villanova. This was a stronger, tougher and more resolute North Carolina and the 8-0 scoring run at the end of the game ensured that the Tar Heels would be celebrating their first NCAA Championship since 2009. While this was a team effort, there is no doubt that Joel Berry II was a key player, offering up 22 points, six assists and three rebounds in the triumph. What makes this achievement all the more remarkable is that the player also bagged a hire score in last year’s final, making him the first player to score a minimum of 20 points in back to back title games since Bill Walton achieved this in 1972 and 1973. With 15 second on the clock and trailing by three points, Gonzaga’s key player Nigel Williams-Goss had a jump-shot blocked and this allowed North Carolina to grab the ball, grab momentum and then grab the slam dunk that made sure they were on easy street for the final second of the game. It shows how small things can make a difference when it comes to basketball and with a lead of 5 points with 12 seconds left on the clock, the Tar Heels had a bit of breathing space. The memory of the late defeat in the 2016 Championship game kept them playing to the death but the war had been won. The monumental finish at the end of the 2016 March Madness tournament meant a lot of people felt that this year’s event would struggle to compare but the 2017 showed a different side of sport. North Carolina showed immense strength and fortitude to bounce back from such a harrowing loss last year and they showed that they were worthy winners of this year’s tournament.